a new header containg enums, WicWrapEnums.h. The following example is close to the previous one, except that it uses wic::ImagingFactory::CreateBitmapFromHICON to display an icon resource. 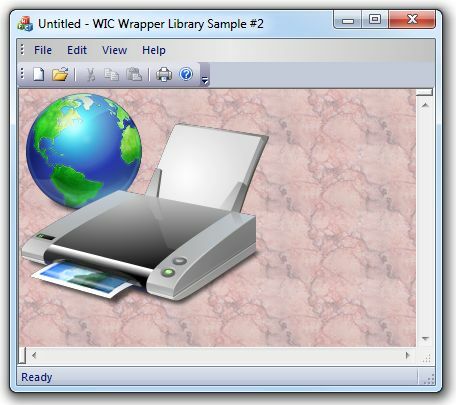 The demo application displays an icon resource when no image file is loaded. This entry was posted in ATL, MFC, WIC and tagged atl, mfc, WIC, windows imaging component on 2014.03.23 by Ovidiu Cucu. 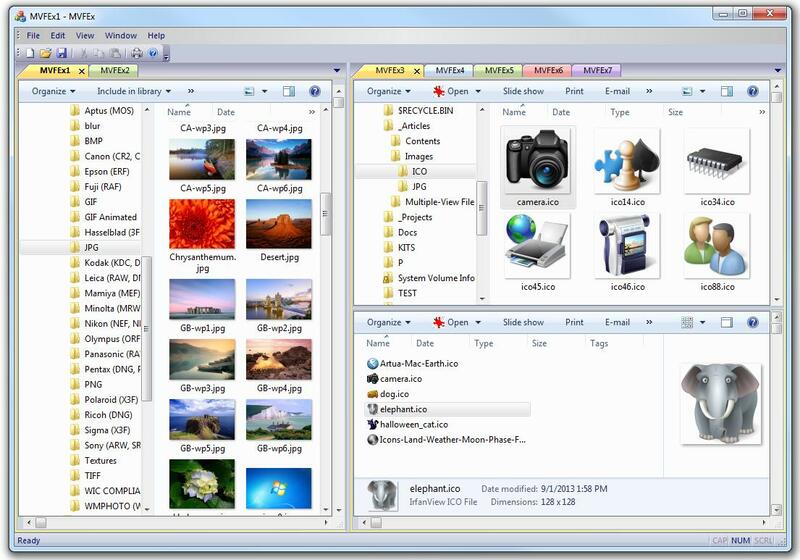 File Explorer (aka Windows Explorer) is a well known and commonly used file manager application, shipped since early Windows 95 operating system. There are also other replacements that can be found over the Internet, however, let’s see how can we make our own file manager, having multiple (tabbed) views. Ones can say that’s a piece of cake: just use raw-WinAPI to populate a tree with folders then a list with folder contents. Another ones can choose to use IShellFolder and browse the shell namespace for the same purpose. Booth methods require a lot of work to do and may be a real overkill. Even more advanced methods like using IShellView and IFolderView are not so easy. Fortunately, for Windows Vista, Windows Server 2008 and newer Windows versions, we can use IExplorerBrowser interface to get a “full featured” File Explorer. We have it so let’s use it! If have Visual Studio 2008 SP1 or newer, creating such type of project is no sweat. Create a new MFC Application project (Ctrl+Shift+N). Change generated view class name to CFileExplorerView. Of course, you can choose other options, but for our purpose the most important are multiple tabbed documents and split window. The implementation of CFileExplorer class can be found in the demo project attached to this article. Now, let’s use CFileExplorer in our application view class. Handle WM_CREATE message. In the OnCreate handler function, perform browser intialization like creating IExplorerBrowser instance, set initial options, set the parent window and folder options. Handle WM_SIZE and resize the browser to fit the parent client area. Handle WM_ERASEBKGND to avoid flickering when the parent view is resized. Finally, let’s override CView::OnUpdate and browse for a folder. // NOTE: just for demo purpose, this browses using the desktop as root folder. // by using any other root path. The demo project uses CFileExplorer to make a simple file manager with multiple views. to change the view style (details, small icons, tiles, etc) push “More options” button. This entry was posted in ATL, COM, MFC, Windows API and tagged atl, com, mfc on 2014.02.02 by Ovidiu Cucu. If the target system is Windows Vista, Windows Server 2008 or newer, enumerating known folders (formerly known as special folders) like Desktop, Documents, Program Files, etc is quite easy by calling GetFolderIds method of IKnownFolderManager interface. 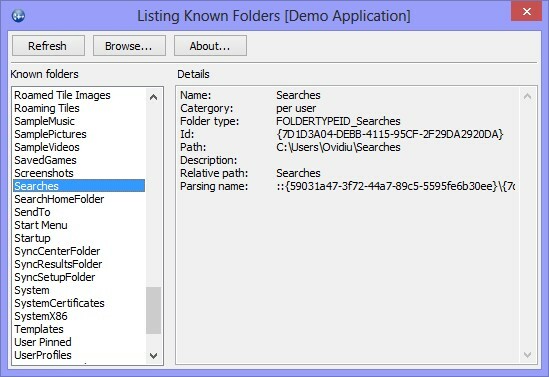 It gets an array of all registered known folder IDs (KNOWNFOLDERID). Once having a folder ID, we can call IKnownFolderManager::GetFolder to get an instance of IKnownFolder interface and further get more details. To make things even easier, I wrote two MFC-extension classes CKnownFolderManager and CKnownFolder, which are wrappers over IKnownFolderManager and IKnownFolder, respectively. Here, let’s just see brief code examples. The implementation details can be found in the attached demo project. The demo project is a simple MFC dialog-based application that uses CKnownFolderManager and CKnownFolder. In the left side is a lisbox which displays the list of known folders names. For each selected listbox item, the edit control from the right side displays the details (name, category, path, etc). Additionally, if the user pushes the “Browse…” button, a browse for folder dialog is shown, having the selected known folder in the root. This entry was posted in ATL, COM, MFC, Windows API and tagged atl, mfc, Windows API on 2014.01.12 by Ovidiu Cucu.